They're one of the dreaded side effects of pregnancy, but stretch marks can be avoided. 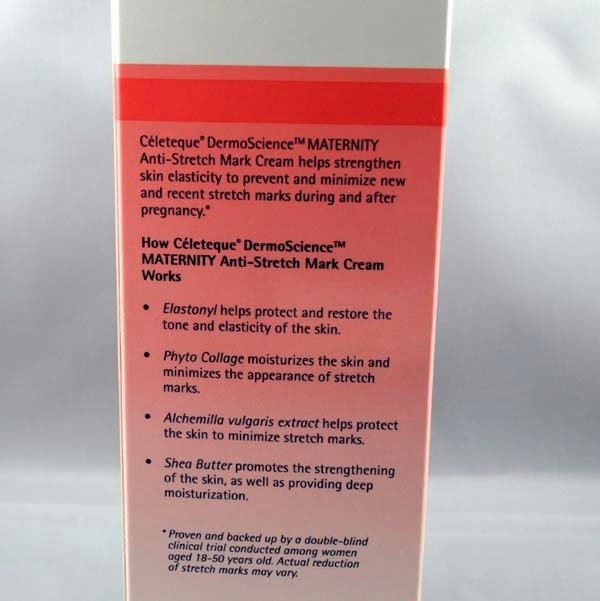 How I wish I discovered these cream when I was pregnant with my 3 boys, It would have definitely help me prevent stretch marks and helps ease skin itchiness from stretching and dryness but now I have them and looking for ways to eliminate. THE SOONER YOU TREAT STRETCH MARKS, THE BETTER THE RESULT. 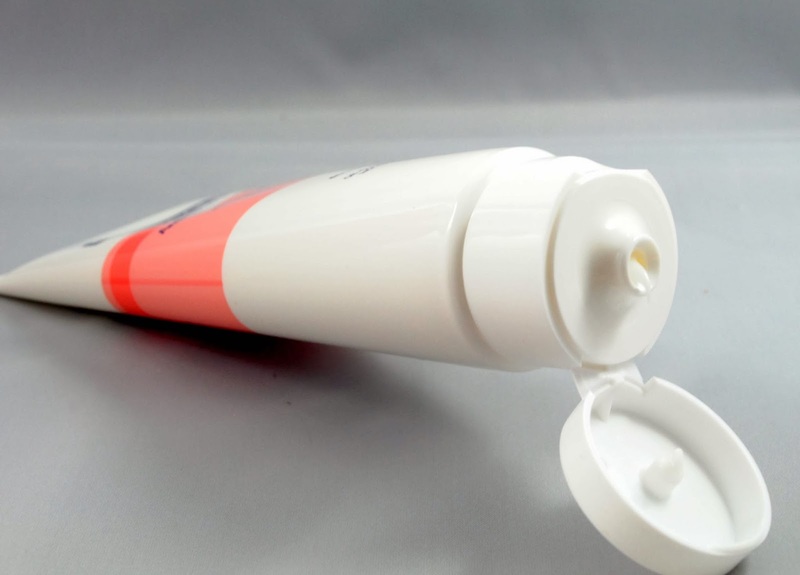 There's no proof these creams can actually prevent stretch marks, but there's some evidence that frequent use from early on can help reduce the effects by keeping the skin supple, and the action of rubbing in the cream can encourage better circulation. As you put on weight, the abdomen (stomach) is gradually stretched further and further, usually causing stretch marks to appear. If you're really unlucky like me, stretch marks can appear on the thighs, buttocks and on the breasts as they get bigger and heavier. The marks start off as thin, parallel red lines in the dermis (the middle layer of skin). They happen when the skin is stretched over a short period of time, and as time goes on, the skin becomes thin and silvery and may appear scar-like. Whether your stretch marks are a result of pregnancy, weight gain or body building, you want a cream that helps diminish the appearance of stretch marks. 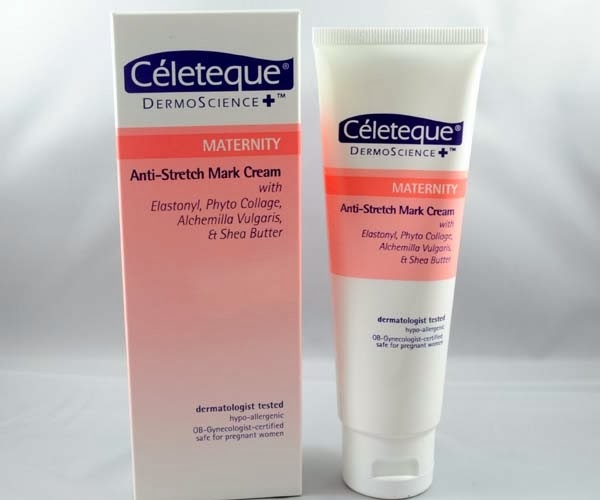 The marks can fade and become less noticeable, with the help of a product I discovered from Céleteque Dermoscience from the makers of Unilab Trusted Quality Healthcare. 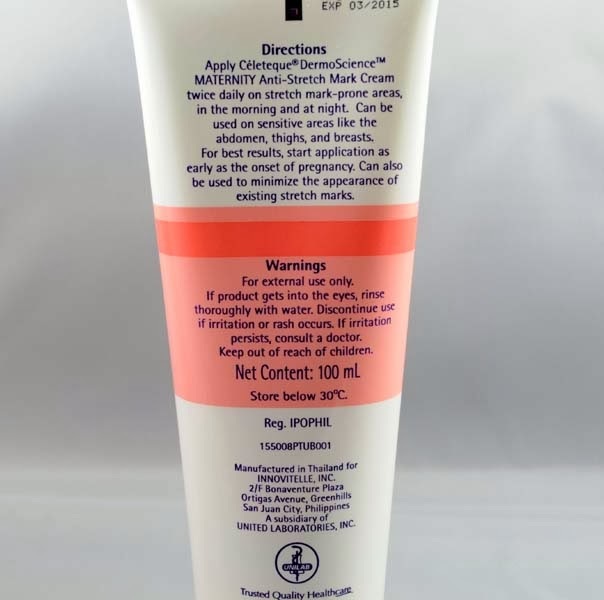 When choosing a stretch mark removal cream, you want one that is formulated with powerful ingredients, and contains an abundant blend of antioxidants and moisturizers to help minimize and fade those stretch marks for good. 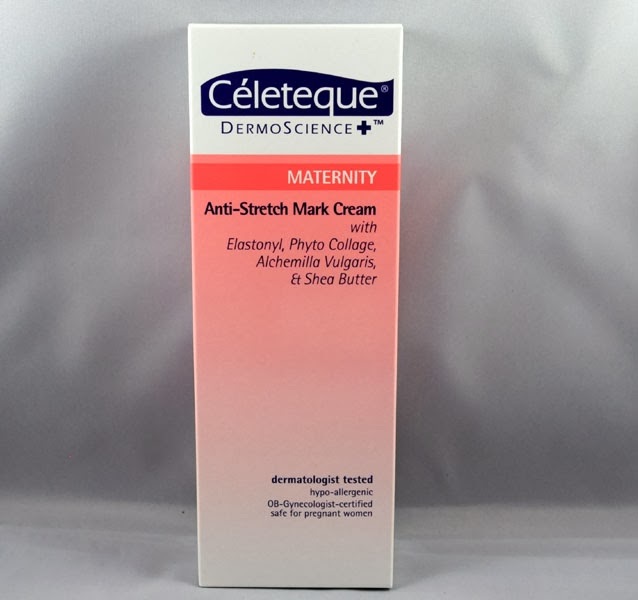 DIRECTIONS: Apply Céleteque DermoScience MATERNITY Anti-Stretch Mark Cream twice daily on stretch-mark prone areas, in the morning and night. Can be used on sensitive areas like abdomen, thighs and breasts. For best results, start application as early as the onset of pregnancy. Can also be used to minimize the appearance of existing stretch marks. ♥ Contains ingredients that helps moisturize and protects skin from stretch marks and dryness. 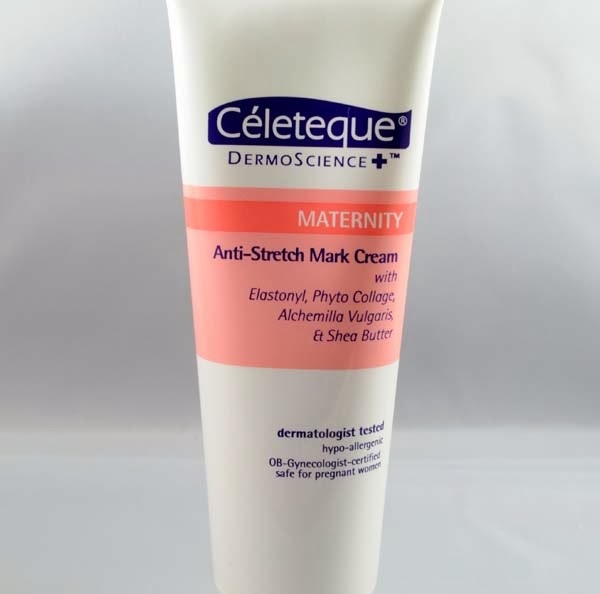 TIPS: Massaging your skin everyday with Céleteque DermoScience MATERNITY Anti-Stretch Mark Cream can help to improve circulation, which encourages new tissue to grow. Eat a balanced diet rich in vitamins, especially vitamin E, vitamin C, zinc and silica that help to keep skin the healthy. Drinking lots of water will help with many aspects of pregnancy, including keeping your skin hydrated. Is it effective? That's a key question! Of course, you want your stretch mark removal cream to help diminish your stretch marks and heal your skin. ♥ It contains moisturizers and it has ingredients that restore the skin layers to their original elasticity. You have to remember that stretch marks are a result of damage to the different layers of the skin, so expecting a very fast result is unreasonable. 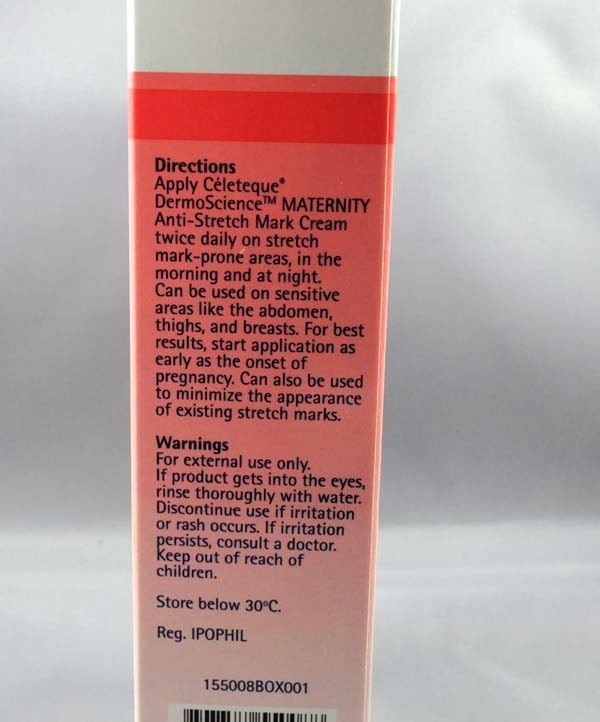 That said, by starting with a stretch mark removal cream that works you can expect to see results within a few weeks, and the longer you use it the better the results will be. I saw initial improvements and the stretch marks begin to diminish, Continue to apply the cream long after you begin to see the stretch marks diminish. Such a blooming pregnant lady hehe. I also read some articles on how to prevent stretch marks. One DIY paste is mixing turmeric powder and yogurt to retain the elasticity of skin. I haven't tried it but i LOVE Yogurt on my skin and turmeric powder leaves a nice glow.. Also virgin coconut oil, was mentioned that can reduce the stretch marks appearance. Scrubbing at least once a week can also help to minimize having some stretch marks. I missed grabbing these sample, how I wish SR will restock it. I haven't used mine pa :D and I have 2 of these. Will start using it na...hahaha...grabe twice in a row na akong late lately sa work sa dami ng skin regimens because of dryness and skin hydration. Another one would definitely hit my mark...lol! Anyways, Kahit preggy ang ganda ganda pa din. <3 take Care! So far, all of the skin products I have been using from Celeteque works talaga, especially their facial wash and moisturizer for dry skin like mine (Hydration). 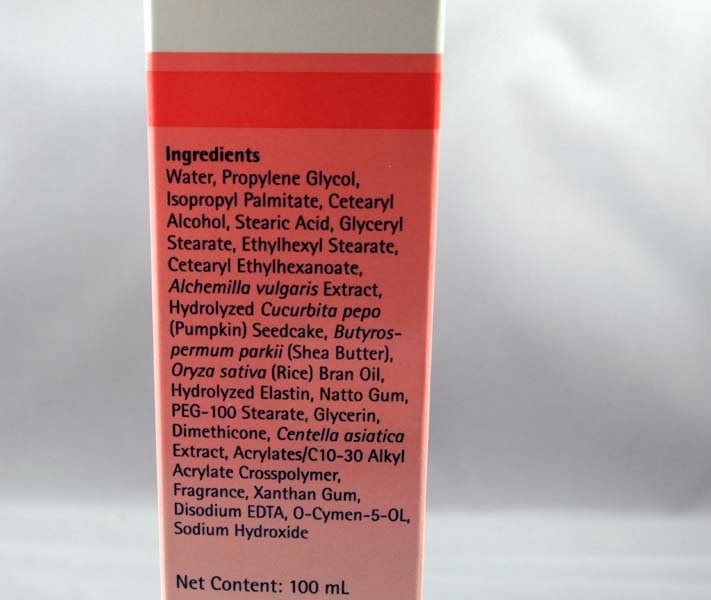 That's why when I heard that they have come up with a product that will help diminish the appearance of stretch marks, I looked for the product right away. I finally found and bought mine in Landmark Trinoma. So far I haven't seen in this in Watson's gateway and I forgot where else but so far, it's kind of a challenge to find a stock. I also just used it tonight! It took a while before Celeteque was able to come up with a product like this but it is better so long as it is as effective as their other products. It smells like an old cream that my late grandmother frequently used. Ahaha. But the smell isn't potent. Oh my! i need to try this. 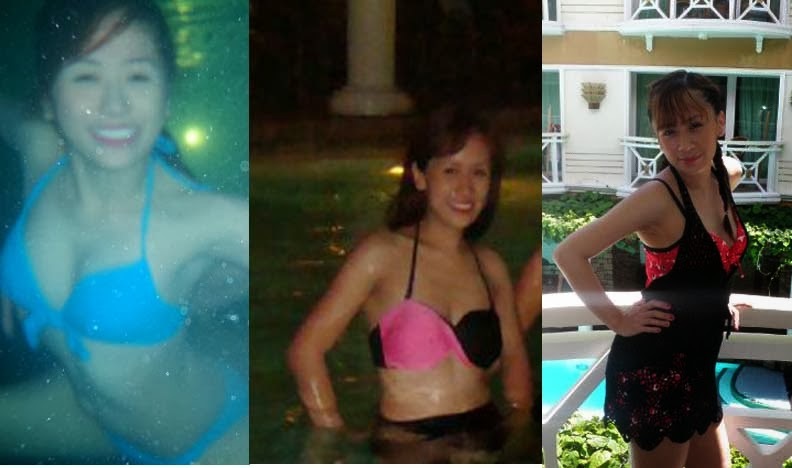 My stretchmarks are so visible talga. i cannot wear clothes that i usually wear. Ill buy this for sure. Good thing is saw your review about this product. I will try this one and hopefully sana magwork sa akin. Although it's a little bit pricey, because it has a name already. A must try products from Celeteque.